At lunchtime outside South Africa’s biggest shopping mall, hungry workmen in hard hats pour out of a building site to buy cheap loaves of bread and jumbo bottles of fizzy drinks. They are joined by middle-class office workers, forming long queues at fast-food restaurants to stack trays with fried chicken, pizza or local delicacies such as bunny chow — a hollowed out loaf of bread stuffed with steaming curry. Nearly three quarters of South Africans are overweight and the country ranks third in a list of the world’s most obese nations behind the United States and Mexico, according to surveys by GlaxoSmithKline and medical journal The Lancet. Africa has for decades been grappling with well publicised epidemics such as HIV/AIDS, malnutrition and malaria, but a wave of new health risks has gone relatively unnoticed. An increase in disposable income among a rapidly growing middle-class in developing nations such as South Africa is leading to unhealthy overeating, prompting a spike in diabetes, hypertension and strokes. 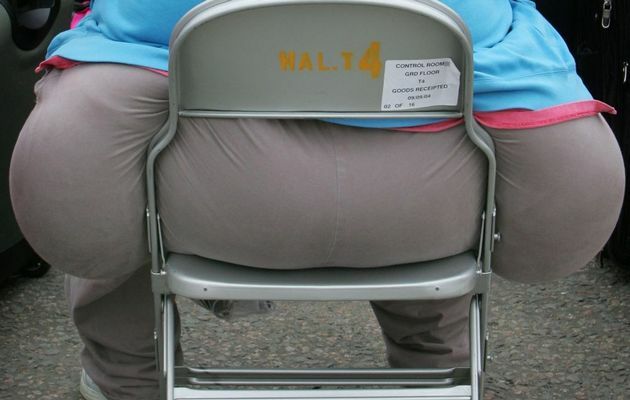 “We have an absolute epidemic of obesity in South Africa. It’s here and now and unless we do something dramatic it’s just going to become even worse,” said Dinky Levitt, head of the Chronic Diseases Initiative in Africa at the University of Cape Town. South Africa is a striking example of a problem that is spreading in developing countries, where 60 percent of the world’s obese people live, a January study by the London-based Overseas Development Institute found. The number of overweight people in developing countries has more than tripled in less than three decades, from 250 million, to nearly 1 billion in 2008, the study found. Despite the heavy toll that obesity takes on their bodies and the country’s creaking hospitals, many South Africans share cultural values that glorify men with bulging bellies as successful and women with rounded hips as beautiful. Nearly 90 percent of the 25,500 people interviewed in a 2013 study by the Human Sciences Research Council deemed fat as the preferable body type. “I’d like to put on a bit more weight and I have asked my boyfriend to eat more because he’s too skinny. People are starting to think he’s sick,” said bank teller Dimakatso Masinga, 27, at a popular fast-food outlet. Non-communicable illnesses, such as strokes and heart attacks, account for more than 40 percent of all deaths in South Africa, and doctors say these health problems will soon overtake HIV and tuberculosis as the country’s biggest killers. South African authorities are considering imposing tax on food and drinks high in fat and sugar and using the revenue to cut the price of foods they consider to be healthy. “The thing that really disturbs me is how expensive a healthy basket of food is and how cheap junk foods are,” said Melvin Freeman, head of non-communicable disease at the government health department. Authorities are considering banning fast food advertising aimed at children, Freeman said, and meals sold in schools and work places may have to regulated. “As a developing country, South Africa is least likely to respond to sick people. We have little option but to act on the prevention side,” Freeman said.